An estimated 100,000 individuals in Alameda County have Type 1 or Type 2 diabetes but many more may be unaware they have the disease. 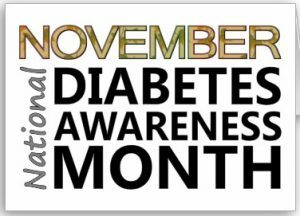 Untreated, diabetes can lead to kidney failure, vision problems, heart and circulatory issues and a host of complications that exacerbate other health problems. On Tuesday, Nov. 14, Alta Bates Summit and Samuel Merritt University’s Ethnic Health Institute will host a free Diabetes Health Fair that will include free diabetes screenings for blood sugar and cholesterol, blood pressure and retinopathy (eyes). The event will also feature presentations by certified diabetes educators specializing in diabetes and management of the disease. Additionally, fun, interactive exhibits will provide information about diet, foot care, medications, and new insulin delivery devices. Participants will have an opportunity to ask diabetes specialists individual questions and will receive educational materials and healthy snacks. The Health Fair will be held from 11 a.m. to 3:30 p.m. at the Alta Bates Family Resource Center at 2450 Ashby Ave., in Berkeley. Participants are welcome to come for the entire event or to drop in as time allows. The Health Fair is open to everyone who may have the disease as well as friends and family members and to anyone in the community who may want to know more about diabetes and how to live a healthy life style. Two special diabetes presentations on Nutrition & New Food Labels and Essentials of a Healthy Lifestyle will take place from 1:15 to 2:15 p.m.